/ How to select a Hunting Earplug? Shooting is very popular, as is the sport of hunting. Despite the changes in gun laws in different countries across the world, firearms are still accessible to most for the purposes of sports or leisure and it is still possible to enjoy yourself when you go out shooting. One of the prime concepts relating to the operation of any firearm is safety. How to buy the right hunting earplug? Aside from general gun safety, there are a number of other factors that all firearm operators should remember before using any of their equipment is to cover their bases on safety for anyone in the vicinity or operating the firearm. Those who aren’t entirely familiar with firearms may forget that amongst these safety requirements there is also the issue of ear protection, due to the extremely loud noises that can be produced by some of the more powerful weapons. But how do you select the best hunting earplugs? Well, there are several things you should consider if you want to analyse it a bit more in depth, which will be described in detail further on. Earplugs have a lot more diversity than most people would initially think, even those who have used them for a variety of related activities or work that may require them to be used. In previous years they have been very simplistic foam designs that are made to fit in your ear and mainly as a “one size fits all”. However, these days there have been changes to the operational uses providing more than just visual changes but also performance ones. Electronic earplugs provide multiple benefits including ear protection as well as situational awareness improvement. As one of the newest designs in hearing protection, these earplugs have the amazing ability to improve and adjust to the noises in your surrounding area whilst also providing automatic protection against sudden impact noises such as a gunshot. Alongside this it can also adjust to gradual noise increases, ensuring that you only hear the softer and less harmful noises as opposed to the loud booming ones that could cause long-term damage. Almost like hearing aids, the added protection is great for stalking wild game and improving your strategy when going hunting. 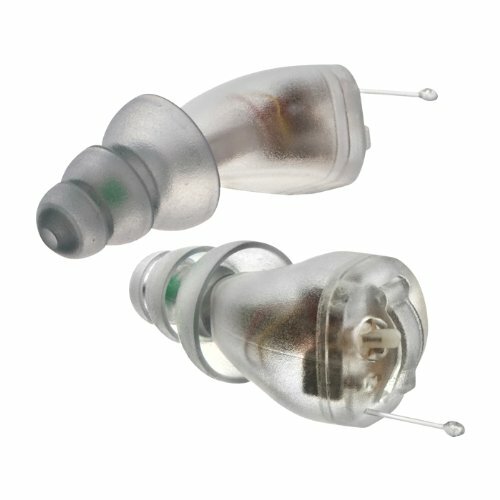 Reusable earplugs are just as the name implies they can be used multiple times without fear of degradation. 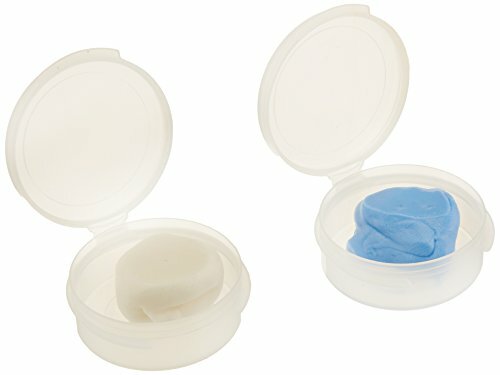 Unlike other more common earplugs, these are made out of a special plastic that is designed for continued use after cleaning. Foam earplugs are the most common types of earplugs available in almost any sporting goods store as well as the same type as the ones given on airplanes. They are simple, comfortable and very cheap. Don’t let this fool you, as they still provide some great hearing protection and will not annoy or irritate your ears as much as some do. One of the only downsides is that they are created for one time use, hence the reason that is expected you will get rid of them when you’re done. Multiple uses of these earplugs can make them dirty and also deteriorate, impacting on the quality of the hearing protection they provide. No roll earplugs are basically the same as foam earplugs except they are inserted into the ear a different way to the latter. Foam earplugs require you to compress them first and insert into your ear where they expand into place. Many people dislike this method and feel it is uncomfortable. 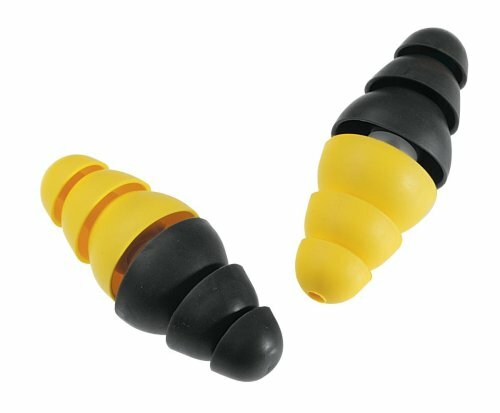 No roll earplugs do just as the name suggests; they do not require you to roll them up before inserting into your ears. A built-in central stem in the earplugs allows you to simply push them straight into your ears and they will slot into place. For the most part, they follow the same conventions of the foam ear plug being simple, sanitary, and effective at protecting your ears as well as inexpensive on the pocket. However, in a similar fashion they are also not reusable and require disposal after an extended period of use to prevent any issues arising. There are some downsides to these; for example, some need to be professionally created by a lab in order to get the most efficient use out of them, whilst others aren’t effective in hot water or hot weather environments as a result of the materials used to create them. For the most part, each is a viable choice for hearing protection and will provide valuable assets for any activity with loud noises, particularly in hunting. Firearms are not toys but tools and should always be treated with respect, but for the most part you should think of yourself before operating them as they can cause harm and the most important thing is to keep every person safe and out of harm’s way.